Be the first to share your favorite memory, photo or story of Dolly . This memorial page is dedicated for family, friends and future generations to celebrate the life of their loved one. 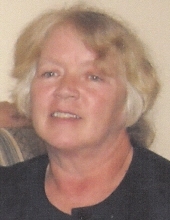 CARBONDALE – Dolly Marie Carter, 60, of Carbondale, went to be with her Lord and Savior on Saturday, April 6, 2019 at her residence, surrounded by her family. Dolly was born August 4, 1958 to Billy and Dorothy (Heern) Nance in Carbondale. She married Timothy E. Carter on December 31, 1974 in Carbondale. Dolly most recently worked as a caretaker for the elderly and was adored and trusted by many. She was a member of Drury Christian Church, Carbondale, where she also served as a Sunday School teacher. She and her family are longtime members of the Giant City Booster Club and the athletic field at the school is named after her husband Tim, Carter Field. She also supported the Southern Illinois Fire Relief Fund with her husband and worked diligently to provide much needed help to those who had lost their homes to fire. Dolly worked hard behind the scenes to support these efforts. Dolly loved sports and was an avid St. Louis Cardinal fan. Her family was her life – she lived for the Lord, her kids and her grandkids. She will be missed by all who knew her. She is survived by her husband of over 44 years, Timothy Eugene Carter; sons, Joshua Eugene Carter, Christopher Eugene Carter and wife Lindsey, all of Carbondale; five grandchildren, Cameron, Leah, Ethan, Anabelle, and Michael; brother, Jerry (Sherri) Nance of Carbondale; sisters, Pam (Bud) Robbins of Makanda, Jeanie (Dennis) O’Keefe of Carterville, Beth Caraway of Murphysboro, Becky (Alan) Roberts of Carbondale, Sandy (Lee) Taylor of Makanda, and Margie (Ed) Williams of Carterville. Preceding her in death are her parents; son, Jason “Tank” Eugene Carter on September 25, 2018; and nephew, Chad O’Keefe. Services for Dolly will be held Monday, April 15th at 1:00 p.m., with visitation from 11:00 a.m. until the time of service at Meredith Funeral Home, Carbondale with the Reverend Tommy Monroe and Dennis O’Keefe officiating. Burial will follow in Murdale Gardens of Memory, Murphysboro. To send flowers or a remembrance gift to the family of Dolly Marie Carter, please visit our Tribute Store. "Email Address" would like to share the life celebration of Dolly Marie Carter. Click on the "link" to go to share a favorite memory or leave a condolence message for the family.